What is the first thought that crosses your mind when I talk about loafers? Did I hear comfort? Well, say “Hallelujah!” as this relaxed style keeps on coming back in fashion. And with hotter days just around the corner, it is time to get serious about loafing around. The classic loafer, which has always been associated with casual wear, is now being made in wide-ranging styles and silhouettes to suit your every sartorial need. And although I believe that there are no absolutes in fashion as long as you can carry yourself with panache, here are some basic guidelines to follow while wearing loafers that will help you look more dapper. 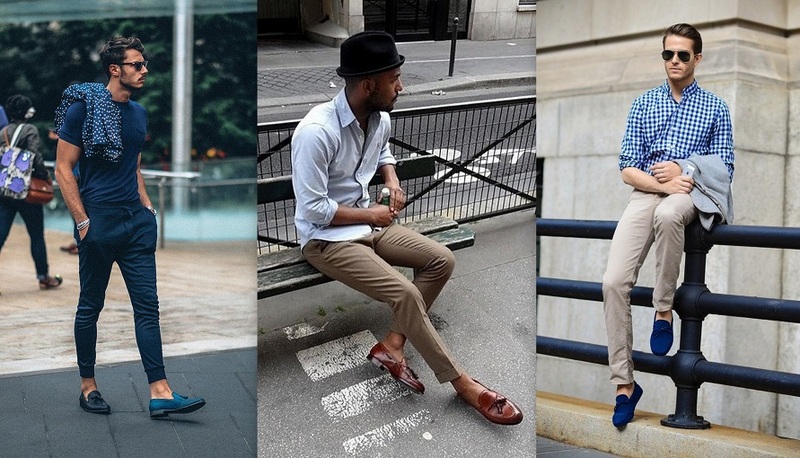 For a casual day look, pair neutral or muted colored loafers with a trendy summer hue. Roll up your trousers for that extra dash of fab. Slip-on your vibrant pair of loafers with khakis for the perfect casual look. A suede (and a heads-up for you, suede is a promising trend this season as well) or tasseled loafer will compliment your khakis in a very refreshing way. One of the many remarkable things about fashion is that it keeps on evolving. Once deemed inadequate with formals, loafers are now well acceptable at work. The key to wearing loafers at work would be to strike the balance by picking a minimal-style loafer in dark color, preferably in leather. And although even the no-socks look can be pulled off with formals these days, I would suggest you wear socks with your loafers at work. So it is getting hot in here and you want to take out all you shorts? Oh by all means, go ahead and wear your shorts with the traditional penny loafer and look casually spectacular. But please, leave out wearing socks this time.